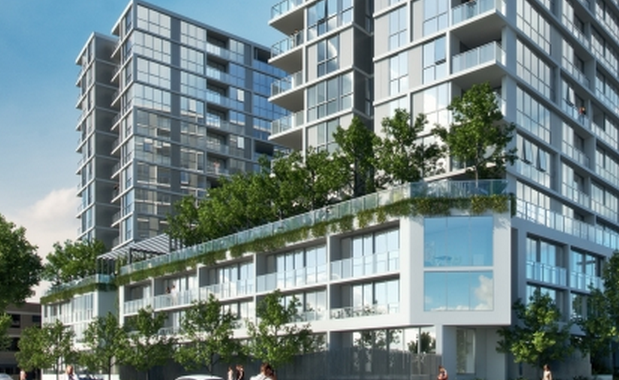 Metro is poised to release the largest off-the-plan portfolio of management rights ever taken to the market, with more than 900 apartment across four towers nearing completion in Brisbane’s inner-city. The portfolio of 904 apartments, includes Metro’s Newstead Towers (314 apartments), Broadway on Ann (247 apartments), Canterbury Towers at Central Village (195 apartments) and Aqua at Newstead Central (149 apartments), which are all due for completion and settlement between April and June 2016. With an estimated projected net profit of more than $2.4million per annum, the portfolio will be sold via an expression of interest campaign launching Thursday. Metro Managing Director, Luke Hartman, said all apartments in this significant portfolio are 100% sold with a large portion to investors who are keen to tap into Brisbane’s rental market demand for new inner-city apartments. “All 905 apartments across the four towers sold exceptionally fast and there was strong demand from investors who are keen to capitalize on Brisbane’s rental market. “Brisbane presents a huge opportunity for investors, with relatively low apartment prices compared to Sydney and Melbourne and high rental demand which is consistently delivering yields of around 5%,” Mr Hartman said. Exclusive agent Tim Crooks from Resort Brokers said that all letting appointments had been secured by Metro which makes this one of the largest and most stable portfolios of management rights to hit the market. “Demand for management rights is very strong and this portfolio presents a significant and stable opportunity in the permanent let market where appetite is particularly high at the moment,” Mr Crooks said. “Over 95% of the apartments in the portfolio are owned by investors with all appointments secured by Metro. This means all rental will be done through the onsite management. Metro General Manager of Sales and Marketing, Peter Hobbs, said the rental market in Brisbane was experiencing high demand for new apartments in prime location which was evident across Metro’s completed projects. “We have experienced first-hand the popularity of renting newly competed apartments that offer resort-style resident facilities. Across Metro’s six completed projects in Brisbane we had 1,212 apartments available in the rental pool and we received more than 16,600 tenant enquires for these,” Mr Hobbs said.